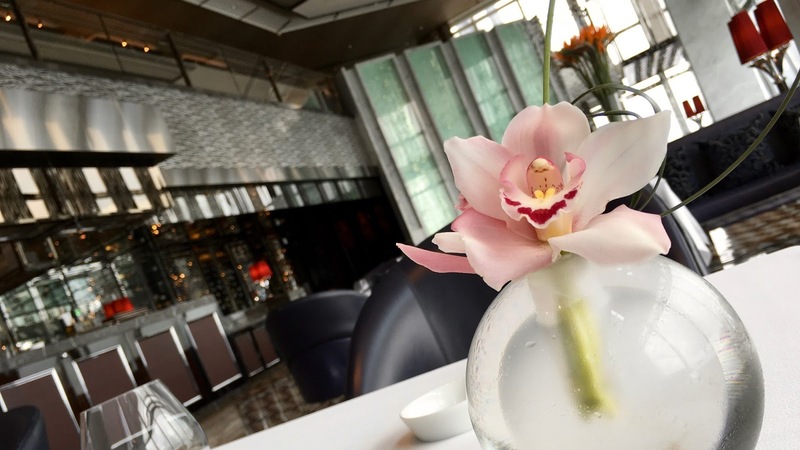 Amazing food and service that is so outstanding that you can't wait for your return visit should be the aim of every restaurant, but is delivered by so few. 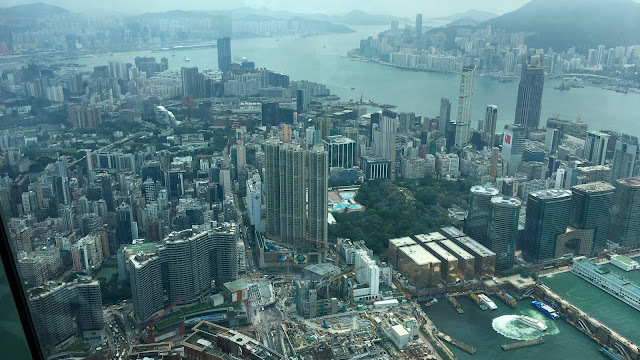 I'd arranged for a working lunch with a colleague and after a last minute change, found myself sitting on the 101st floor at the Ritz-Carlton's Tosca. Of course I'd heard about the Michelin Starred restaurant, but until that moment, it had been some way down my list of 'must-visit' dining spaces. In hindsight, that had been a huge mistake on my behalf! I was a little early for my reservation, but from the moment I stepped out of the lift at the Ritz-Carlton to the moment my dining companion arrived, I was treated like royalty. 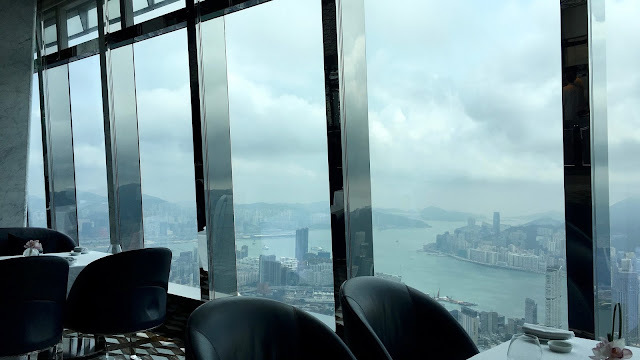 My table was close enough to the floor to ceiling windows of Hong Kong's tallest building to truly appreciate the magnificence of the view. 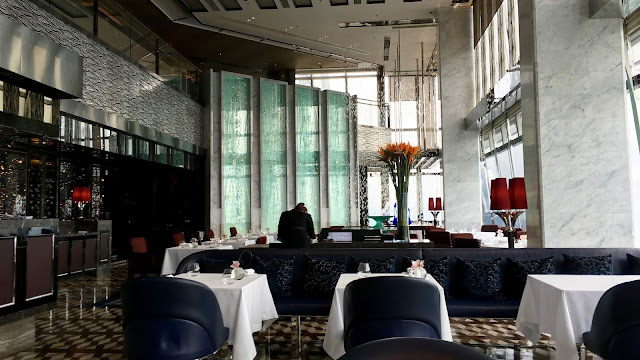 It wasn't too shabby inside either, with the very modern dining room, centred around an open kitchen, drawing my eye away from the HK skyline! 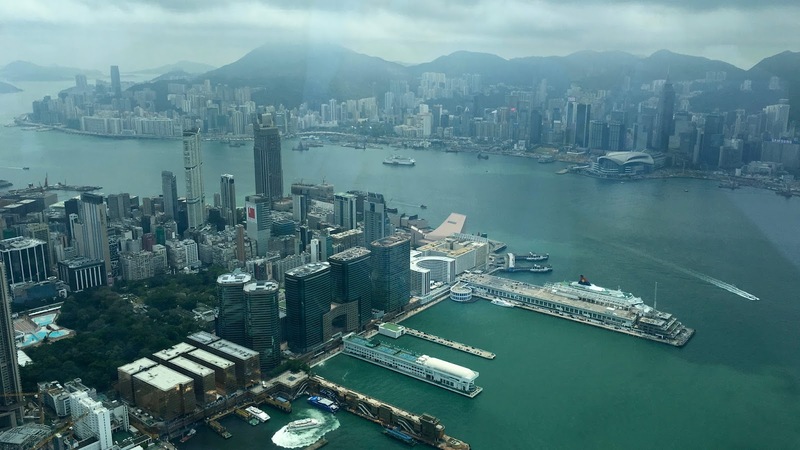 No easy feat considering the view. 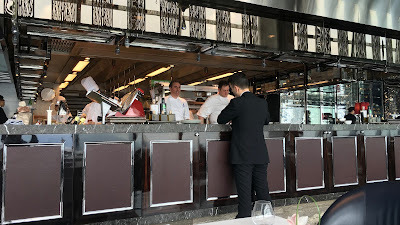 While I was waiting, sipping on my still water from a cut crystal glass, I was able to watch the kitchen preparing for lunch, led by acclaimed Chef Pino Lavarra. 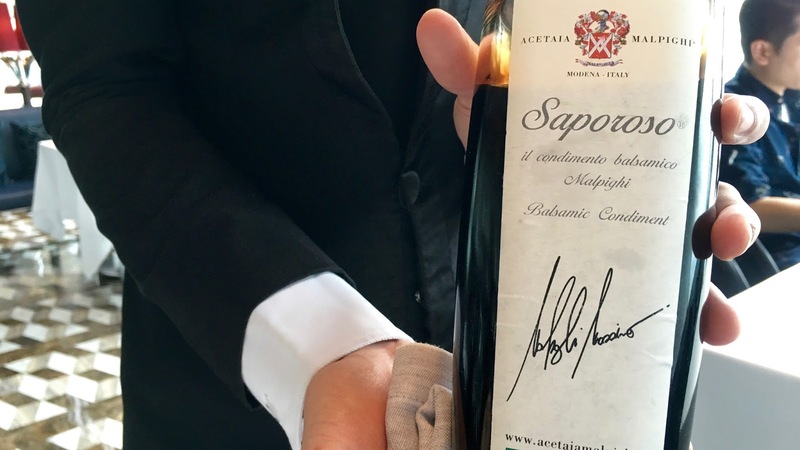 That Chef Pino has found himself leading the Michelin Starred Tosca in one of the most recognisable and distinctive restaurant brands in the world is no accident. 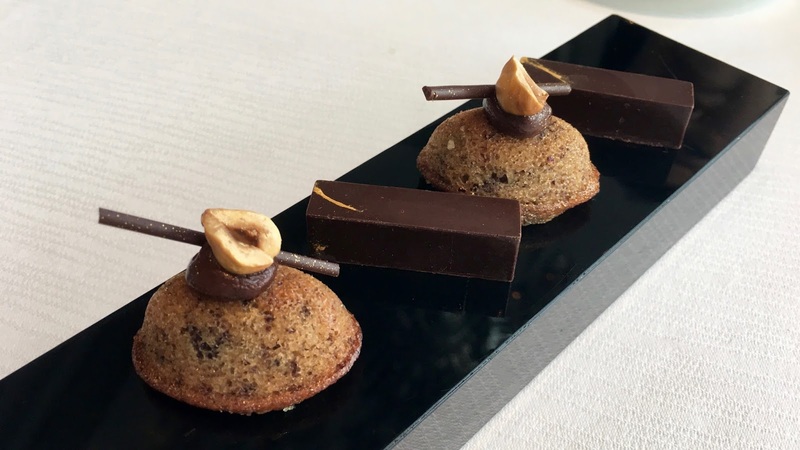 A prodigious talent, Chef Pino has been recognised as "One of the Best Chefs in the World" by the American Academy of Hospitality Sciences, as well as running Two Michelin Starred Rossellinis. 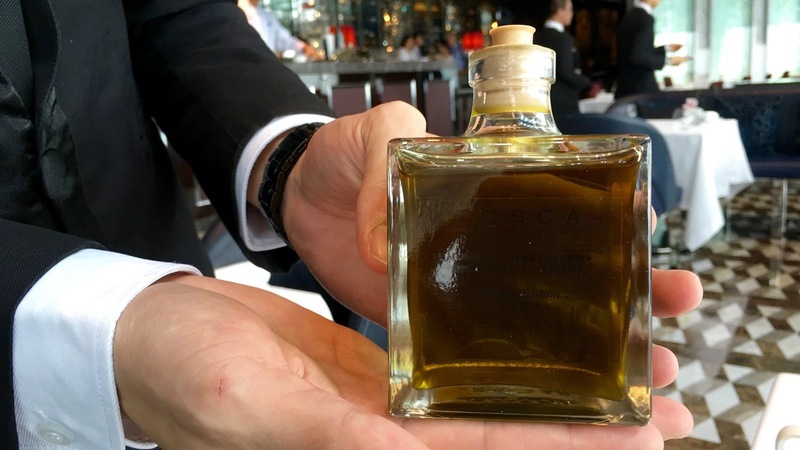 Noticing that I was sitting along, restaurant Manager Matteo Gaeta came across to welcome me personally to Tosca and spent a few minutes explaining that he would do everything possible to ensure my lunch was spectacular. 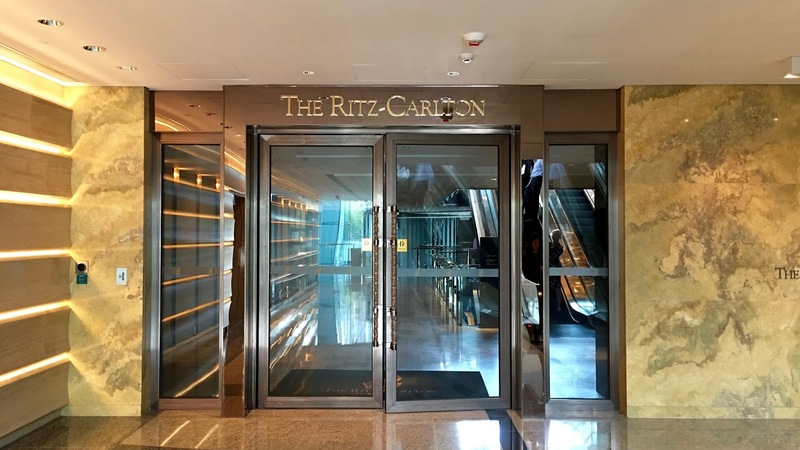 I was actually starting to get very excited and by the time my lunch companion arrived, I was bursting at the seams to sample to sample Chef Pino's take on innovation and traditional Italian cuisine. To that point, I was left to guess what delights might be in store and once our menus were presented with a flourish, my imagination acceded to the reality of the spectacular looking menu. There were simply too many options to comprehend and my challenge was limiting my choices to just one starter and one main! 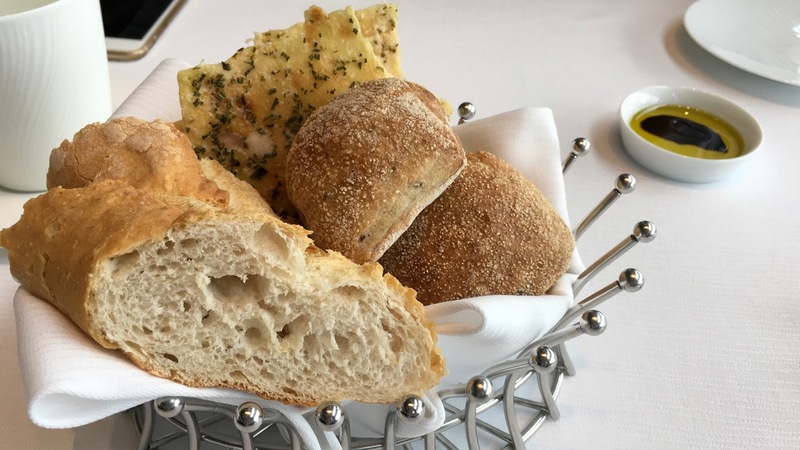 Once our orders were taken, we were presented with a basket of warm and crusty bread that included some sour dough and an olive loaf. Accompanying the bread was a distinctive olive oil and balsamic vinegar combination that was auspicious in it's presentation. Looking much more like a high line perfume, the olive oil had a distinctive aroma and peppery flavour that confirmed my suspicion that we were consuming only the very best. 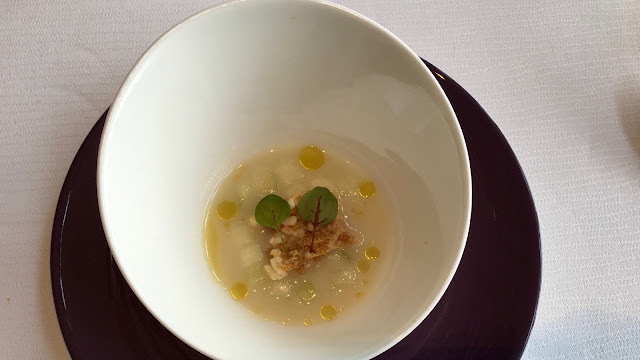 Our amuse bouche arrived, looking quite pretty with an interesting looking bowl containing a green pear and cauliflower puree, with perfect squares of cucumber and pear. The puree was incredibly smooth and clean, with the textures and flavours of pear and cucumber working in harmony together. The was a little saltiness from some fish roe and texture from a sliver of rice cracker. It was a delightful and refreshing start to the meal. 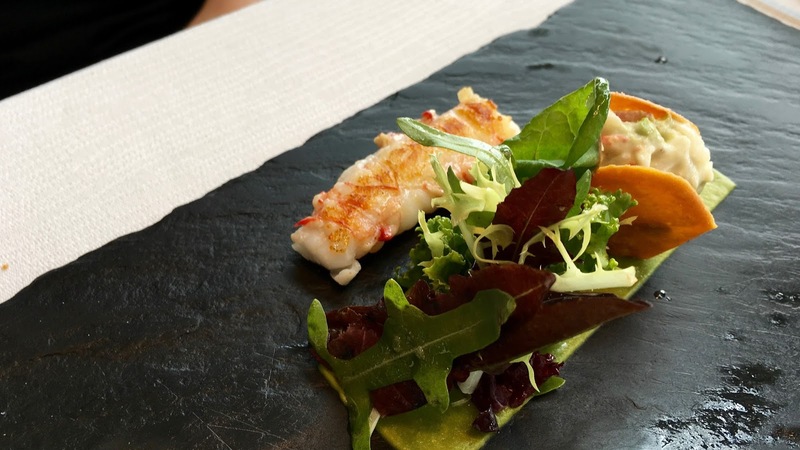 We'd ordered from the set lunchtime menu and first out was JP's Langoustine with young leaf salad and crab mayonnaise Served very simply on a rectangular slate, a tightly contrasting rectangle of avocado was lightly applied to sit perfectly in the centre of the slate. There was a tuile that reminded of a tiny little taco containing the crab mayonnaise - it was light and oh-so-tasty. Next to the salad was the perfectly aligned and wonderfully prepared Langoustine, the orange contrasting nicely with the grey slate and the green salad. With perfect preparation and seasoning, the langoustine really popped on the palate - ensuring the perfect start to the meal. I wasn't sure what to expect from Chef Pino’s beef carpaccio, but certainly was not expecting what did arrive! 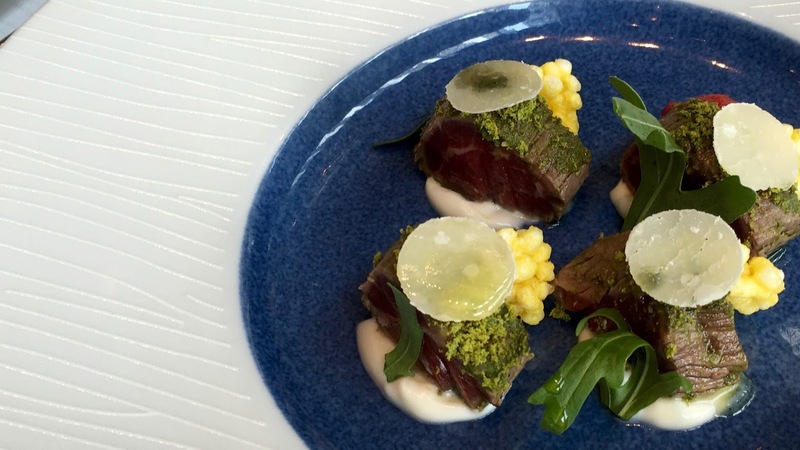 Normally, a carpaccio is thinly sliced beef on a plate with all sorts of accompaniments sitting atop. Chef Pino had uniquely taken super tender buffalo and lightly seared it on the outside, then placed quite thick pieces upright on the plate with a light dusting of fennel pollen before topping with spheres of parmesan cheese. Next to the carpaccio were dehydrated pieces of baby corn, that added some sweetness and texture to the powerful and tender buffalo. It was the most unusual carpaccio I'd devoured, and quite possibly the best! It was hard to imagine that the food could get much better than our starters, but it most certainly did! JP's main consisted of the green spaghetti “chimaera”, served with swordfish and squid then finished off with black olive oil and a disturbingly good butter sauce. 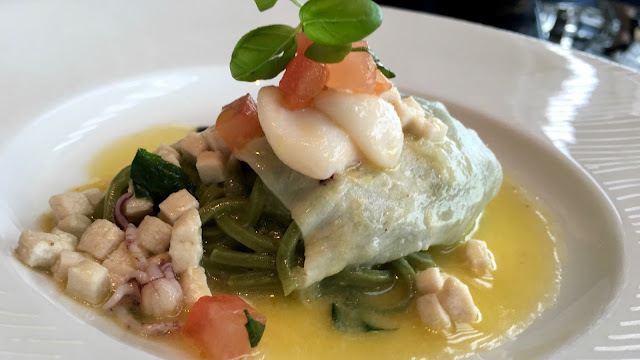 The secret to great Italian cuisine is letting the ingredients speak for themselves and the green spaghetti dish was one that clearly was the best of Italian cookery. The pasta could not have been better prepared and the green spaghetti looked amazing against the yellow of the butter sauce. I loved the simple flavours which danced on the palate and loved the slightly chewy texture from the swordfish and squid. I actually had a little food envy and was disappointed that I was only able to sample a small amount! 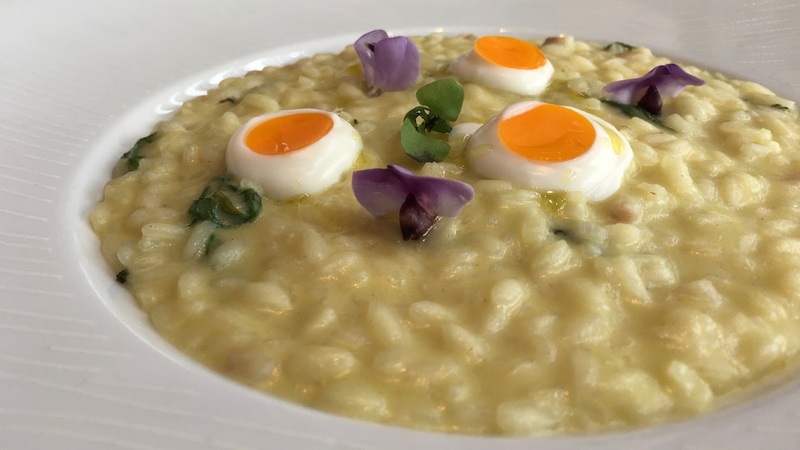 I'd have been really disappointed if I was not so captivated by the look of my own dish as it was presented, the wild asparagus risotto with egg, pancetta and caviar taking my breath away. The colours and presentation was probably the best I'd seen in a risotto, which are notoriously very hard to make presentable. Dollops of cream were topped by thin circular pieces of pasta, which when looked at from above, looked like little 'sunny side-up' eggs. Looking good is one thing, but Chef Pino's risotto also tasted sensational, the subtle undertones of the astringent asparagus singing beautifully in risotto sauce. I loved the dish and could have had a whole lot more! A perfect meal deserved a perfect finish, which is what I received when my dessert of white yogurt mousse with crème cassis and mango arrived. 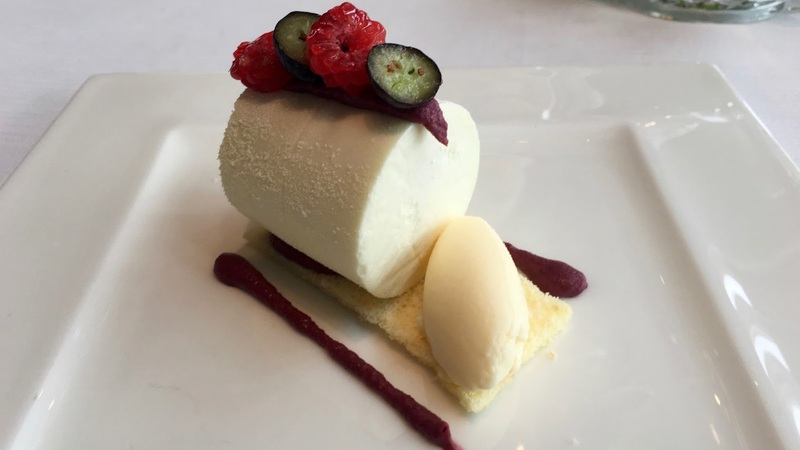 It was just beautiful, the cylindrical white mousse sitting on a thin slice of vanilla cake, topped with fresh berries and accompanied by a quenelle of stunning creme cassis ice-cream. Once I cracked open the cylinder, a mango and berry sorbet was inside, giving a hit of sweetness and tartness to balance out against the very sweet creme cassis. Without doubt one of the prettiest and tastiest desserts I can remember. 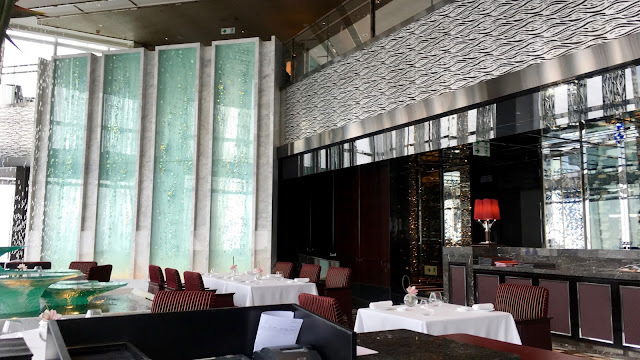 As I sat back from devouring my last bite, I reflected back on the meal and wondered why I had not frequented Tosca before and planning my next visit. I was simply gobsmacked and was in disbelief that Tosca had only been awarded one Michelin Star - it was the equal to any two starred restaurants I'd visited globally and would have certainly rivalled many of the three starred establishments I'd visited! Throughout the meal, Chef Pino was keeping an eagle eye on the restaurant and managing the pass like the consulate professional he was. Here was a man that was in complete control if his domain and while he looked pleased, he also had the look of a man that knew the job wasn't quite done yet. Interestingly, his staff, which included the ever present Matteo seemed completely at peace with the fine establishment they controlled and it was clear that each and every wait staff was looking for perfection. I'd had my first taste of Tosca and I knew I'd be back. In fact I was back only a few days later with the girl to enable her to be enveloped by the Tosca experience. Amazingly, our second experience was even grander than my first. The consulate professional Matteo remembered me well from our first visit and took extra special care of us, which included bringing Chef Pino over for a good chat. Indeed, I will be back! I'm looking for any blog-community building advice you could offer as well! I think it's more tough when one has their own domain; it's standalone from the community. I've heard of bloggers promoting content through blog listings like bloglovin', as well as sites where you can earn promotional opportunities for having good content content like Advowire (https://advowire.com//users/profile/new?referral_code=AW36707). 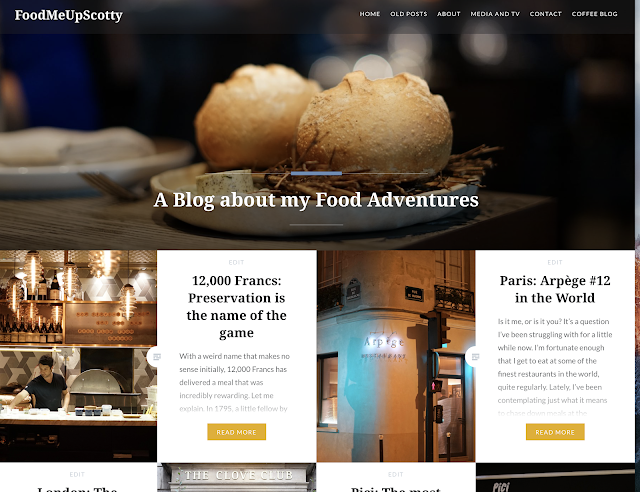 Do you use any of these sites to promote content or to collaborate with other bloggers? Do you know of other sites/resources you'd like to recommend? I've moved :) to a new format!